The half marathon has been my nemesis distance for quite some time. 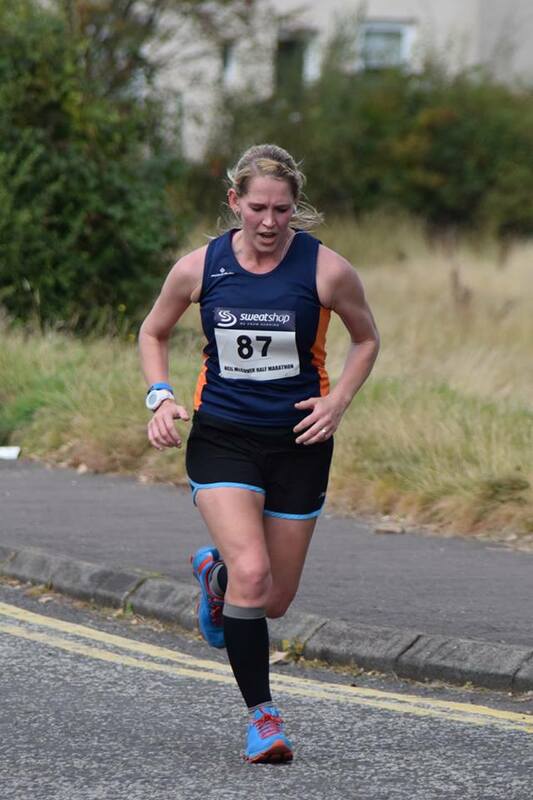 I clocked my last PB at Loch Leven back in May last year, just as I was recovering from illness and then every time after that I seemed to get further and further and further away from my time. 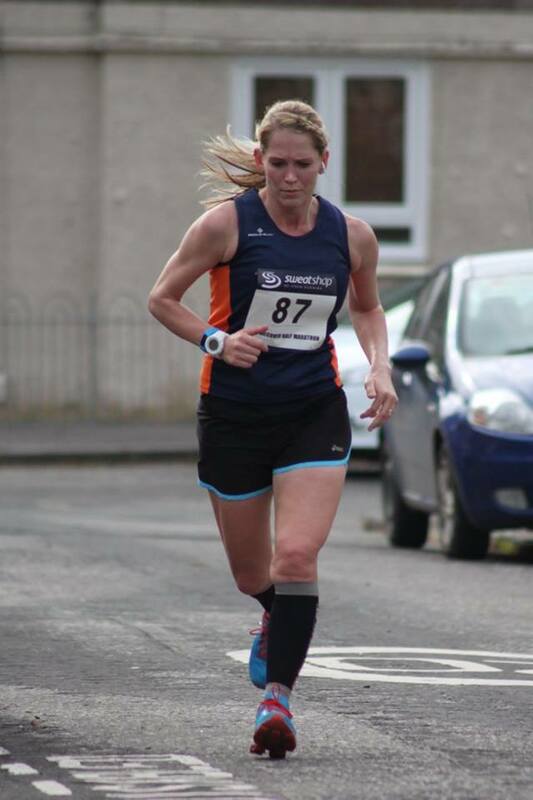 I hadn’t raced many last year – the worst of all being Jedburgh in October where it was so windy my feet were getting blown from underneath me and my breath sucked out my lungs, and after that all my favourite races or good PB courses seemed to clash with other races or be on when I was on holiday. 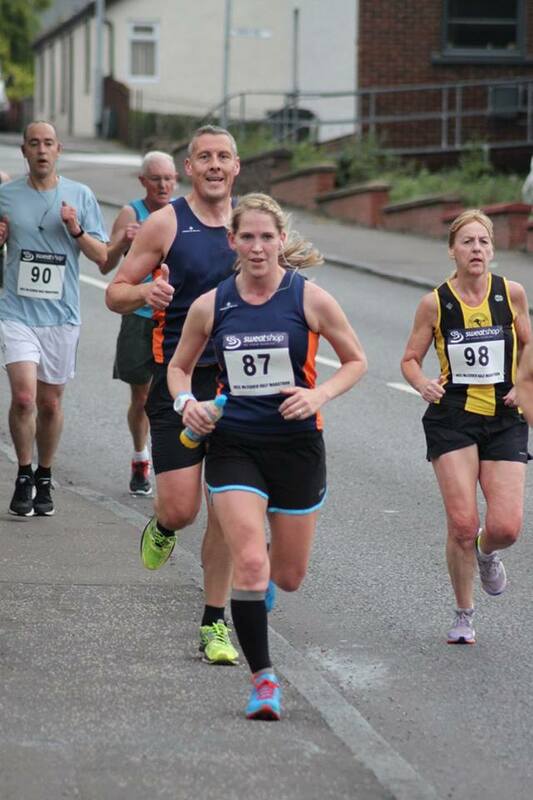 My first half of the year was the Haddington half in August – stupidly the week after the Devil O the Highlands, so I had absolutely nothing to give and slogged around, breathing out my arse and couldn’t wait until it was over. On finishing I promptly told my team mates if I was ever so silly as to sign up for a race the week after an ultra ever again they would be allowed to slap me. So, a few months down the line and I noticed the Neil McCover half was coming around again the same weekend as Jemma was down for a wedding, so we signed up and looked forward to a run in the countryside near my home town and a good catch up with my new sister in law. Race day came and I wasn’t sure how I was feeling, but there was a tiny voice in my head screaming at me to do well. I silenced in, forgot about any pressure and prepared to run another enjoyable race on pretty fresh legs. What a race it was! A few miles in and it’s (sort of) all smiles for now! Spits; 7:07, 7:30, 7:14, 7:30, 7:35, 7:24, 7:30, 7:33, 7:24, 7:58, 7:32, 7:38, 7:28….. The first few miles were brilliant. 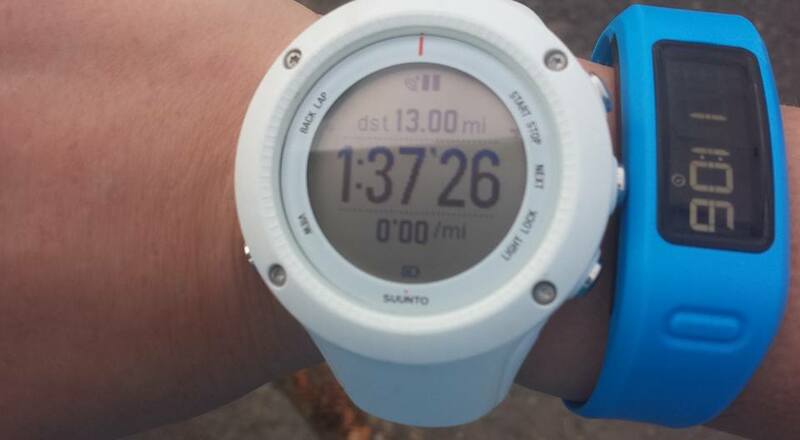 I tried not to look at my watch and just enjoy the race and looked forward to seeing my parents at 5 miles as we ran through a village near where they lived. I spotted my mum from a few hundred meters away and flew by waving my arms around like a loon as my dad attempted to take some pictures, but round the corner and away from them it was time to continue to dig deep on this exceptionally undulating course. Through the 10k mark in just over 45 minutes and feeling fresh, a nice stretch of downhill and then, ooooooh big hill. It’s a sneaky hill in the it’s split into 2 sections; the first being a long slow climb up to the bridge over the canal and the second half a sharp steep hill to the top. Suddenly everything went a bit pear shaped as all at once the one ear phone I had in fell out, my ipod became unclipped from my shorts and I spilt juice all over my face. But not to worry, a quick glance at my watch and a bit of counting miles and splits on my fingers and I realised that even if I did the last 3 miles in just under 10 minutes I’d still get a PB. On one hand I felt like easing off the gas a bit and trundling home, on the other I wanted to give it my all and see if I could bag a huge PB in the only distance I was still struggling on for the year. So I chose the second option! 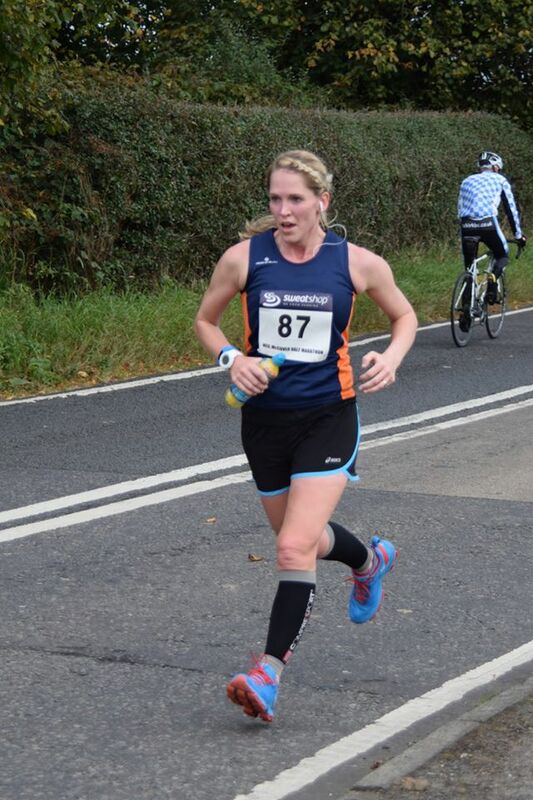 Last 100m, trying not to look at my watch! Coming back down the last 2 miles and I was running on the outskirts of my home town and on the very road I used to to cross county on back in my school days! The route was still not easing off and I continued to dig deep and give everything I had left to get to the finish line. 1:37’26. Wooweeeeee, 9 minutes off my personal best and 15 minutes off my course time from 2013! Roll on 2016. Who knows what huge events I’ll try and enter next year! !